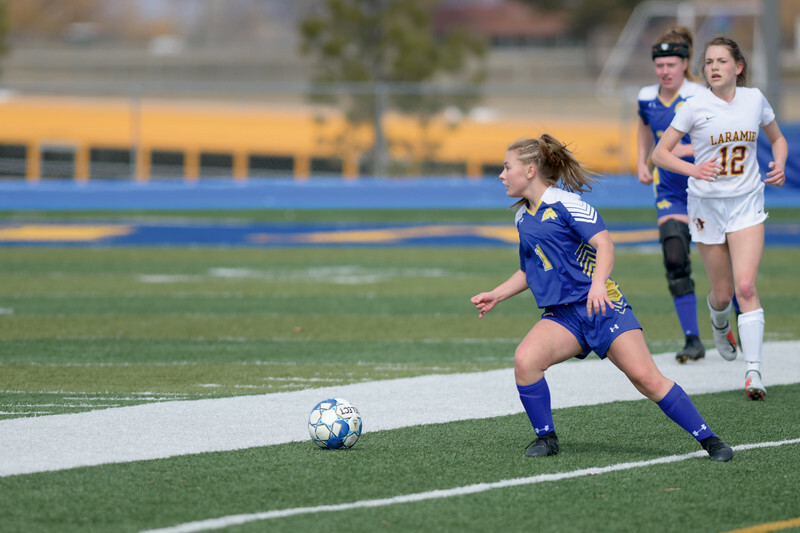 The Lady Broncs squared off against Laramie in their second match of the season Saturday, March 23, 2019. Sheridan fell 1-0. Sheridan’s Braylee Standish (22) gets the quick touch to take control of the ball despite being blocked at Homer Scott Field Saturday, March 23, 2019. 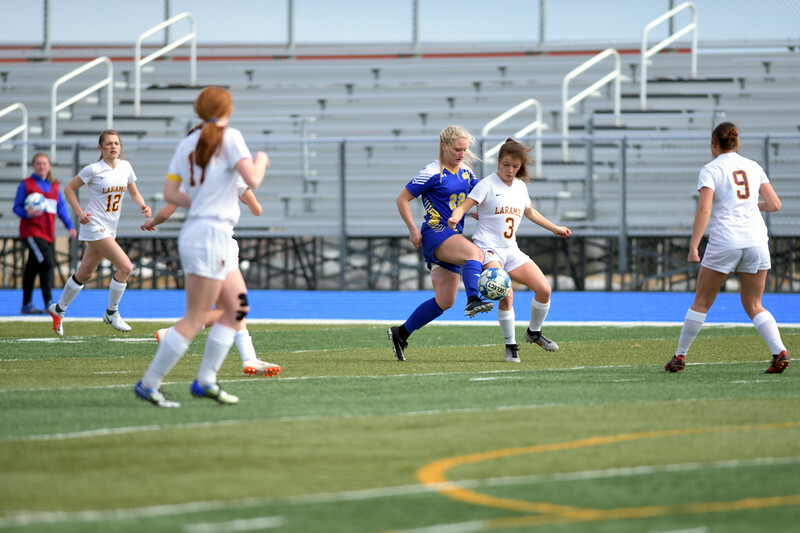 Sheridan’s Ellie Williams (12) takes a free kick at Homer Scott Field Saturday, March 23, 2019. 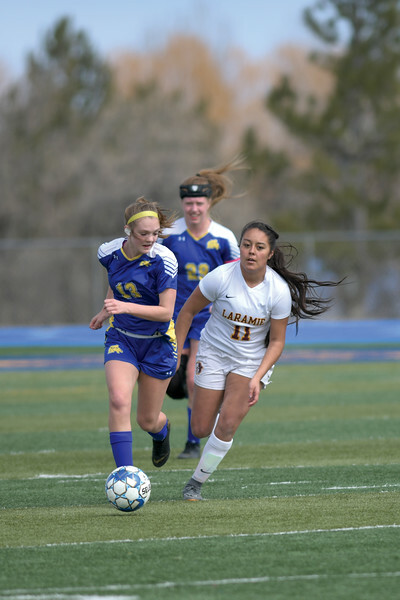 Sheridan’s Courtney Wallach (13) brings the ball down the pitch under pressure during play against Laramie Saturday, March 23, 2019. 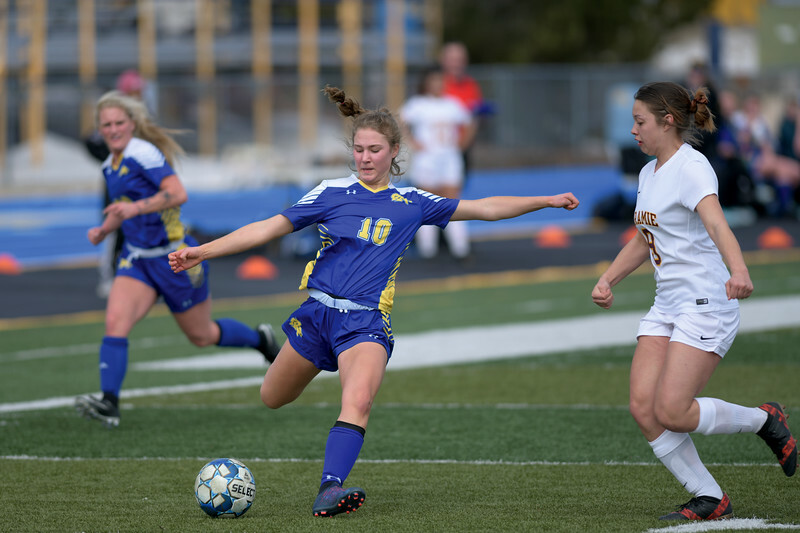 Sheridan’s Aria Heyneman (10) crsses the ball into the center for a shot on goal against Laramie Saturday, March 23, 2019. 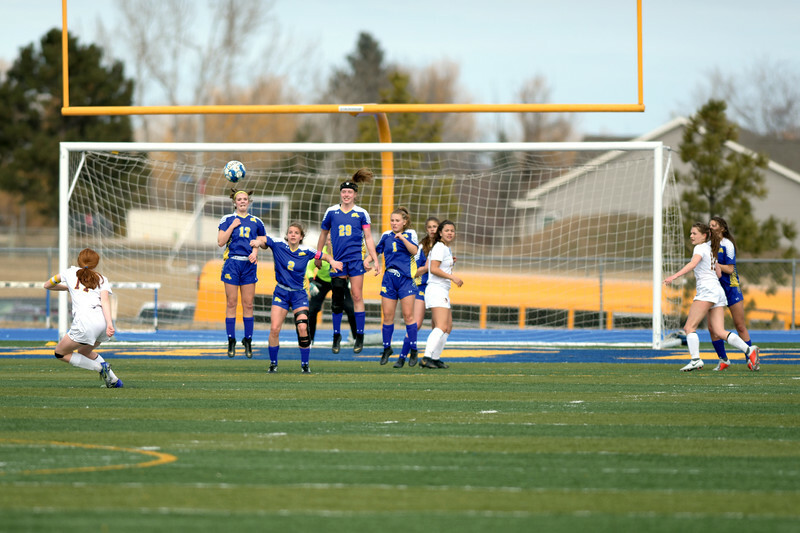 Larimie’s Sam Turpen (17) capitalizes on the free kick with a well-placed chip shot over Sheridan’s defensive wall at Homer Scott Field Saturday, March 23, 2019. 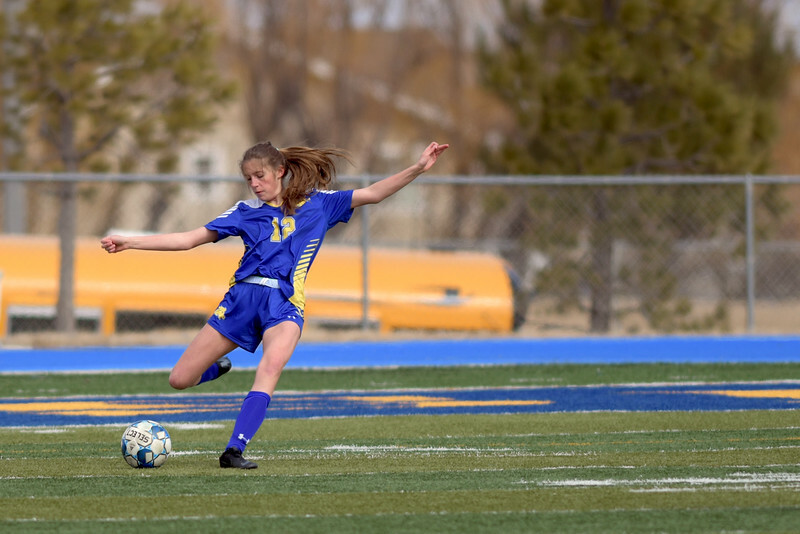 The Lady Broncs fell to Laramie 1-0. Sheridan’s Aubrey Cooper (1) looks down field for an open teammate at Homer Scott Field Saturday, March 23, 2019. 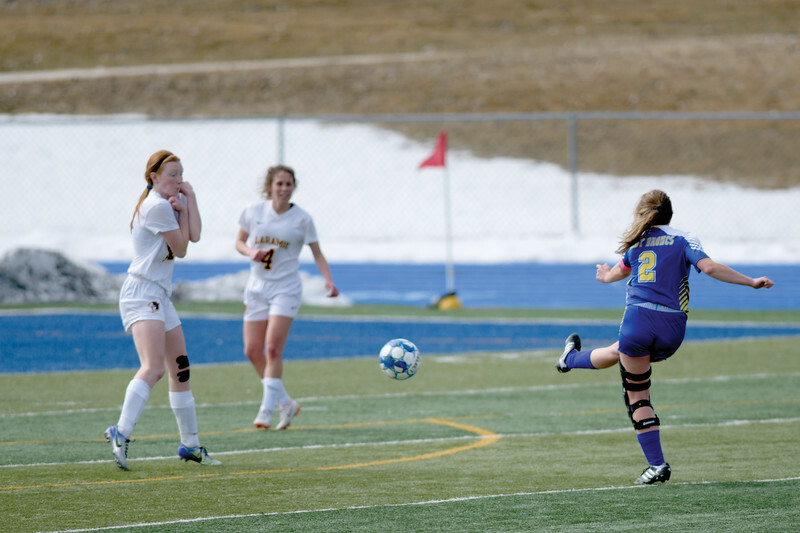 Sheridan’s Talia Steele (2) fires off a shot from outside the box against Laramie at Homer Scott Field Saturday, March 23, 2019.